One of the largest power consuming industries is that of processing wood and wood products in the manufacture of paper and pulp. Although alternative fibers may be used in relatively small quantities in the manufacture of pulp and paper, by far the largest source is wood. Paper may be made either by the ground-wood or chemical process. 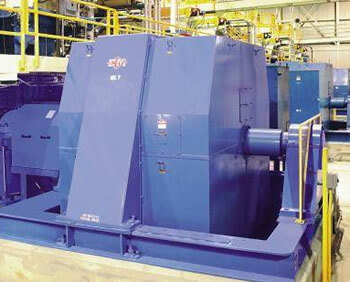 WEG Electric Machinery (WEM) large AC motors incorporate special features which make them the right choice for use in the corrosive environments found in paper mills.